For years, concerned island residents and the San Pedro Police Department have being calling for the implementation of a mandatory boat manifest. A boat manifest is a document listing the cargo, passengers and crew being transported during a trip, and is instrumental in keeping entry and exit records of visitors to a location as well as in cases of emergencies. As one of the top destinations in the country, San Pedro is flooded daily with an influx of persons arriving either by boat or airplane. While both airplane services on the island are required to have a manifest, the water taxis seem to have been exempted from providing a manifest. 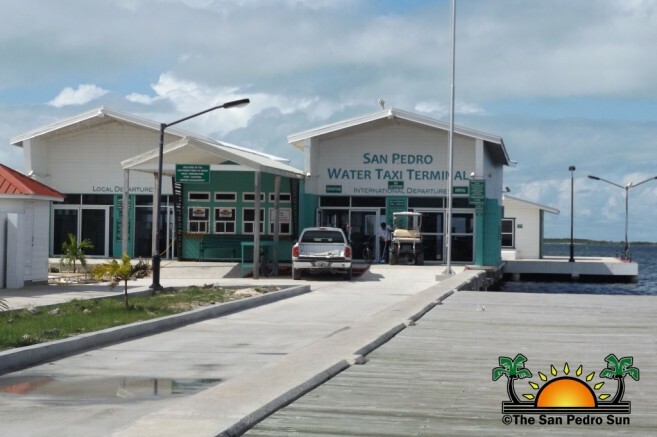 In the past few months, the San Pedro Town Council (SPTC) commenced the process of implementing a boat manifest but it is yet to be approved and sanctioned by the Belize Port Authority (BPA). According to Mayor Daniel Guerrero, the plan still remains to relocate all water taxis to the Sunset Boardwalk Water Taxi Terminal located on the lagoon side of San Pedro. Ideally, the manifest will be implemented once all the water taxi companies have been moved. “We are not sure when the move will happen. We have commenced works on moving them but still have a few more steps to take. BPA has already marked the route for the channel that will need to be dredged to ensure passage way for the vessels,” said Guerrero. According to the Mayor, BPA, Belize Tourism board (BTB) and SPTC are working together in this initiative, but still do not have a set date to start the dredging. “The boat manifest is almost there too. The draft of the manifest is about to be approved,” said Guerrero. The boat manifest is very important for better organization and a better impression to those arriving on the island. It will also help with the proper screening of who all come to the island and increase the safety of the town. The San Pedro Sun spoke to a representative for BPA who indicated that as soon as the manifest is approved, the SPTC and the media will be informed through a press release. Third Annual San Pedro Lobster Fest Block Party a Huge Success!